Senior Zach Shippy is a returning varsity letterwinner. 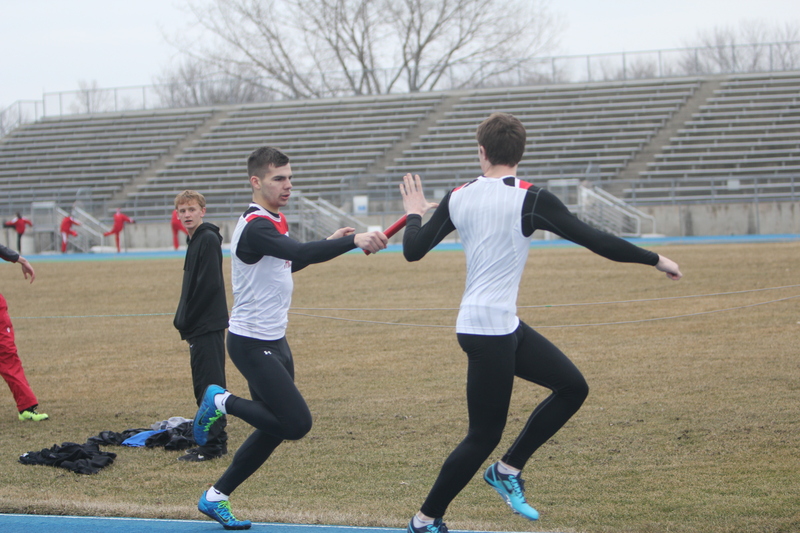 During the indoor track season he has already recorded wins in the open 200, 400 and 4×400 relay, and he helped break the Iowa City meet record in the sprint medley. What were you thinking when you broke the record? None of us really expected it. We were just looking to go out and run fast. We actually didn’t even know that any records were broken until a few days after. Are you excited to get back to outdoor meets? Running outside is a lot different than running inside. Times get better, competetion gets better and meets actually get scored. It’s exciting to get back outside and run. Obviously we want to win. I’m looking to do my best at what I can. Yeah, I’m definitely thinking about running in college, no matter where I go. It’s not my highest priority in college, but it’s something that I want to do.